In 2.0, Superstar Rajinikath returns in dual roles of scientist Dr Vaseegaran and his creation robot Chhiti. The much talked-about villain, played by Bollywood actor Akshay Kumar. The The film also stars Amy Jackson. 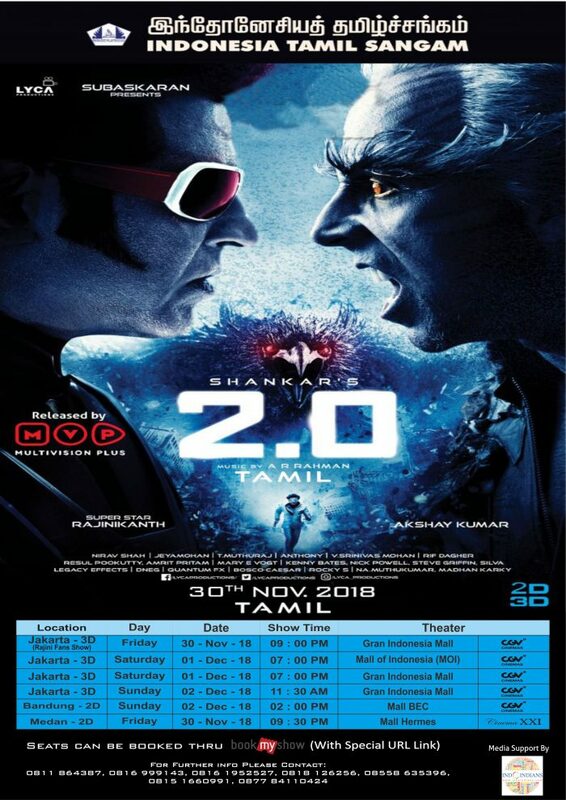 Directed by Shankar, the much awaited movie 2.0 stars Rajinikanth in the lead role with Amy Jackson playing his pair. Bollywood star Akshay Kumar is playing the main villain, a bird-man like scientist named Dr Richard, in this sci-fi thriller. Being the sequel to the 2010 hit film, Endhiran, 2.0 will have the Superstar in dual roles – Dr. Vaseegaran and Chitti – the Robot. Others in the cast include Sudhanshu Pandey, Adil Hussain and Kalabhavan Shajohn. Made on a very huge budget, somewhere close to Rs.450 crore, the film has high octane action sequences in the film have been choreographed by action directors such as Steve Griffin, Nick Powell and Silva. With a strong technical crew comprising the Oscar winning music director AR Rahman, cinematographer Nirav Shah and editor Anthony, the film has been written by Shankar and Jeyamohan.